In June 2018, a pilot whale was found suffering in a Thai canal and, after failed rescue attempts, died because of the 80 plastic bags found in its stomach. Fast forward to April 1, 2019, when a pregnant sperm whale was found dead on the shores of Sardinia — the whale had 50 pounds of plastic garbage in its stomach. The nonprofit Plastic Oceans estimates that humans are now producing nearly 300 million tons of plastic every year, half of which is for single use, and that more than 8 million tons of plastic is dumped into our oceans every year. The scale of human impacts on the health of the ocean ecosystems, including the amount of plastic waste, has driven many Certified B Corporations to take action. And there are plenty of impacts to address in addition to waste: unsustainable seafood harvesting, the “dead zone” in the Gulf of Mexico, and more. B Corps around the world are using business to save our oceans — meet five of them below! 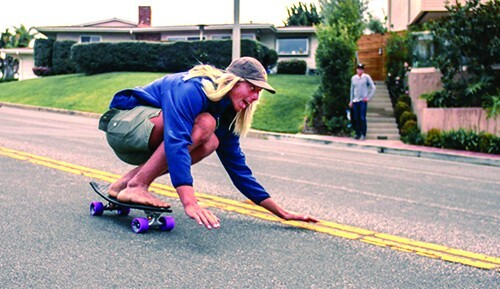 By transforming recycled fishing nets into action sports products like skateboards and sunglasses, Bureo protects the ocean and gives consumers a more sustainable option. As a 1% For The Planet member and startup participant in Patagonia’s Tin Shed Ventures fund, Bureo knows the benefits of giving and receiving and holds paying it forward as part of its mission. Ventura, California-based Bureo recently participated in the Plastic Ocean Pollution Solutions youth summit organized by Algalita, a nonprofit empowering young people to tackle the challenge of plastic pollution. For every piece of clothing or other product sold, United By Blue removes 1 pound of trash from the world’s oceans and waterways through company-organized and hosted cleanups. To date, the company estimates that more than 1.6 million pounds of trash have been removed. The outdoor lifestyle products made by United By Blue reinforce the company’s commitment to reducing ocean waste: All of the company’s offerings incorporate recycled materials wherever possible, including its line of clothing made with recycled polyester. The amount of single-use plastic in the food industry, in particular, is part of what led Michael Brown to found Packaging 2.0 in 2002. The company creates “responsible packaging for the future of our oceans” by selling and marketing plastic packaging made from post-consumer recycled materials to natural foods stores. In 2014, Packaging 2.0 sold more than 15 million packages made from over 1.5 million pounds of recycled plastic resin. This saved 1.5 million kilowatts of energy and 900 tons of greenhouse gas versus virgin plastic, according to the company. The Rhode Island-based B Corp hopes to greatly increase the rates of plastic recycling and reduce the amount of plastic that ends up in our oceans. Luke’s Lobster promises its guests harbor-to-roll traceability and supply sustainability for all of its seafood offerings. The company has become its own supplier, working directly with fishing co-ops it helped establish — and it hasn’t limited sustainable growth to do so. Luke’s has more than two dozen locations dotted across the U.S., reeled in $50 million in sales in 2017, employs about 500 people, and launched in fall 2018 on the West Coast in San Francisco. Last year Luke’s partnered with United By Blue to remove over 10,000 pounds of trash from the ocean, and the B Corp funded kelp aquaculture research to reduce ocean acidification. 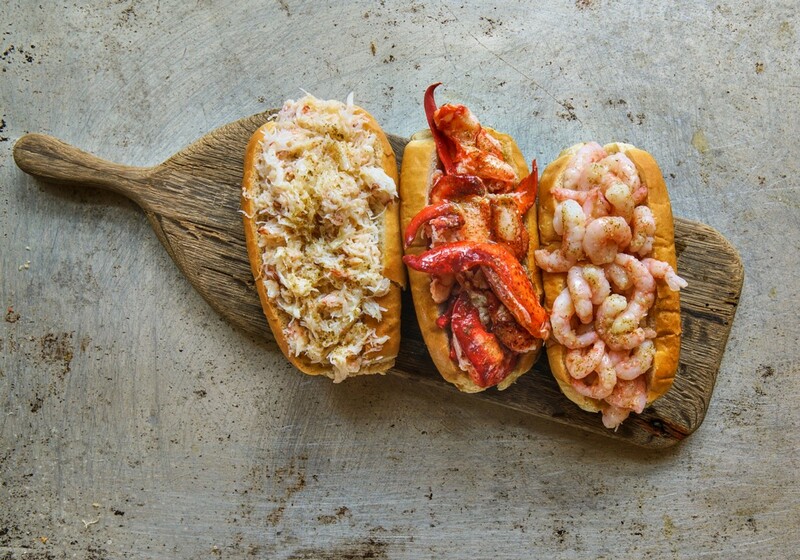 Luke’s Lobster’s seafood is verified sustainably sourced through an ethical supply chain built around the fishermen responsible for their core products, left to right: crab roll, lobster roll, shrimp roll. Organic Ocean was launched by West Coast fishers who recognized the need for a balance between sustainable livelihoods and sustainable harvests. Its commitment to responsible harvests and healthy aquaculture led the B Corp’s seafood to be sought out by leading chefs who recognize that having the finest ingredients includes taking a look at how the ingredients are harvested. Organic Ocean has evolved into a community of seafood producers — traditional, modern, indigenous — who share an ethos built upon solving the ocean’s greatest environmental challenges and protecting its productive capacity.